Our talented Salon staff brings a combined total of over 100 years of experience to our intimate, boutique salon! An environment of relaxation and excellence awaits you… Please ask about our new client special promotions. Beginning her career in 1993, Stephanie has completed advanced training with Aveda, Redken and Wella, specializing in coloring, highlighting, and haircutting. Stephanie joined Dream in 2004. With a natural ability to interpret client’s needs, she can customize both color and haircut to compliment each individuals taste and lifestyle. She is a strong advocate of positive change and a “less is more” approach. Working in an intimate atmosphere like Dream, she is able to give her clients genuine attention for a truly personalized experience. Ron has been working as a hair colorist for nearly thirty years now. His career began in Connecticut, then took him to New York City for ten years. During that time he worked in several premier salons, such as SUGA, Saks Fifth Avenue and Oribe, where he enjoyed a diverse and fast paced career. Ron’s specialty is creating very natural looking color with highlights and single process colors, and if you want a subtle to vibrant red, he’s the man to see. Susan was born and raised in Great Britain, and began her career in England after completing her London’s City And Guilds, Advanced, along with an Art Degree. She believes that continuing with her education on a regular basis will keep a fresh and exciting perspective with cutting, styling, and colour. Susan works closely with her clients to marry their hair style and colour, with lifestyle and the clients’ abilities…it’s about keeping an open mind, and working with what you have. For over ten years she was responsible for running the Look Good Feel Better program at a local hospital, helping woman going through the most difficult time in their lives. Susan combines her vision, ​knowledge, and creativity with a fierce technical precision that has kept clients coming to her for 30 years plus. A very strong foundation has given her the ability to never fear challenges in any aspects of her career or life. 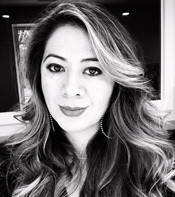 Eliana began her career in the salon industry more than 14 years ago at Warren Tricomi where she cultivated her passion for hair while training with the top artist in New York. 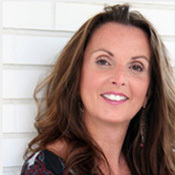 Her vast experience has also included advanced training with L’Oréal, Redken and Wella. Eliana has always loved creating something beautiful. 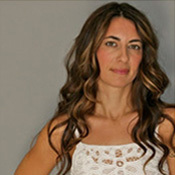 Her areas of expertise include color correction, foil highlighting, balayage techniques, great haircuts and formaldehyde-free smoothing treatments all this while always preserving the integrity of the hair. She loves to connect with clients to understand their needs and accomplish exceptional results. Her goal everyday is making sure her clients leave her chair feeling happy, confident and beautiful. 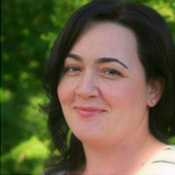 Spring has been working in the Westport area for more than fifteen years. Friendly, warm and personable, her knowledge and specialization in hair straightening and texturizing treatments lend to a wonderful experience. Spring is extensively trained in Kerastase product and treatment rituals. Please call for a complimentary consultation with Spring.